A mother who escaped the brutal Bosnian conflict as a schoolgirl and fled to Scotland has spoken out for the first time to help launch a new campaign teaching pupils here about the genocide so that it "never happens again". Elvira Mujkanovic, 41, turned 18 on the day war broke out in May 1992 and the Bosnian Serbs moved in to turn the primary school in her home village of Trnopolje into a concentration camp. A propaganda visit for UK journalists was staged that summer by the regime of Radovan Karadzic, the Bosnian Serb leader, to persuade the world that Muslim prisoners were grateful refugees instead of victims of ethnic cleansing. The stunt backfired after pictures of Fikret Alic — who had been one of Mujkanovic’s neighbours — showing him, emaciated, behind bars at the Trnopolje camp were broadcast around the world. 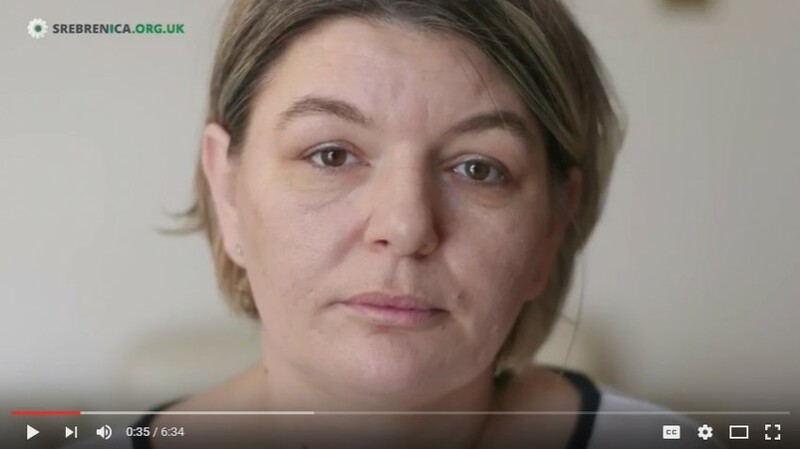 For three years thousands more ordinary people, including Mujkanovic’s then boyfriend, now husband, Jasmin, suffered appalling atrocities as they were tortured, starved, raped and killed across the country. 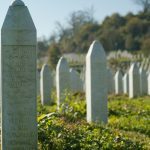 The onslaught culminated in the notorious massacre at Srebrenica in 1995 when about 8,000 Bosnian Muslim men and boys who sought refuge in a United Nation’s “safe area” were murdered by Serbian forces in the worst mass killing since the Holocaust. This week, on the 20th anniversary of the controversial Dayton peace accords that ended the war, Mujkanovic told her story to help raise awareness among today’s generation. Speaking at her South Queensferry home, she said: “I spent my 18th birthday sheltering under our house in the basement with family and friends. We could hear the bombardment at Prijedor [a nearby town in northern Bosnia] but we didn’t know what was happening. “After a few days soldiers told us all to return home, because we lived so close to the camp we were effectively part of it. Bus after bus appeared with women, children and some men, and every day we had to cook for them. We were told to wear white armbands, so they knew we were Muslims and could decide to shoot us. If we didn’t wear them, they could ask why not and decide to shoot us too. Mujkanovic boarded a train with her mother and sister in June 1992, with no idea where they would end up or if she would ever see her father again, as he was not allowed to leave. Like thousands of other men and boys, her boyfriend vanished as the Bosnian Serb regime separated families. His friends told Mujkanovic they thought he had died in a grenade attack. In reality, Jasmin survived the attack but was then imprisoned, starved and tortured at camps including Omarska, 10 miles from Trnopolje. Incredibly, she was reunited with both her father and Jasmin, who were released and taken to Croatia where Mujkanovic’s family was living with relatives. “I thought I was seeing things when I saw Jasmin,” she said. “It was normal then for people to ask if anyone had done anything to you when you were reunited [in fear that you had been raped or tortured]. “He went from about 80 kilos down to 40 in the camps but he didn’t really talk about it — he still doesn’t. He just asked if I was OK. We decided right then to get married.” In 1993, with war still raging, the couple, who had married in Croatia that year, were sent to Scotland by the Red Cross. “I didn’t want to come here because we didn’t know anyone,” said Mujkanovic. “We’d asked to go to London because Jasmin had a cousin in Watford, but we were sent to North Berwick. “At Edinburgh airport I ran crying from the head of the Scottish Refugee Council because he had a long beard which reminded me of the Serbian soldiers. She and Jasmin, now 46 and working as a delivery driver, have three daughters and the whole family raises funds for people still affected by the war. They visit every year for memorial services and have made traumatic pilgrimages to former death camps. Their eldest child Amra, now 21 (pictured), spoke at this week’s launch of the new teaching resource for schools produced by the charity Remembering Srebrenica. A final year events management student at Edinburgh Napier University, she has also agreed to help organise the charity’s annual memorial service in Edinburgh next year marking the 21st anniversary of the end of the war. “Auschwitz and 9/11 are commemorated around the world but nobody was remembering us, which is difficult because it makes you feel that you are not important,” said Amra. Amra and her family also hope to join the emotive Peace March next year for the 21st anniversary of the Srebrenica massacre, which follows the 70-mile route taken by people fleeing the town for the north of the country. Thousands of the refugees died along the way. The family is unlikely to ever move back to Bosnia, however, where corruption and stark ethnic divisions remain. Written by Julia Horton, this article appeared in The Sunday Times on 29 November 2015.